Numerous baseball teams have used the “Brewers” moniker in Milwaukee since the 1880s. The Milwaukee Brewers (1902-1952) of the minor league American Association departed upon the arrival of the major league Braves franchise. 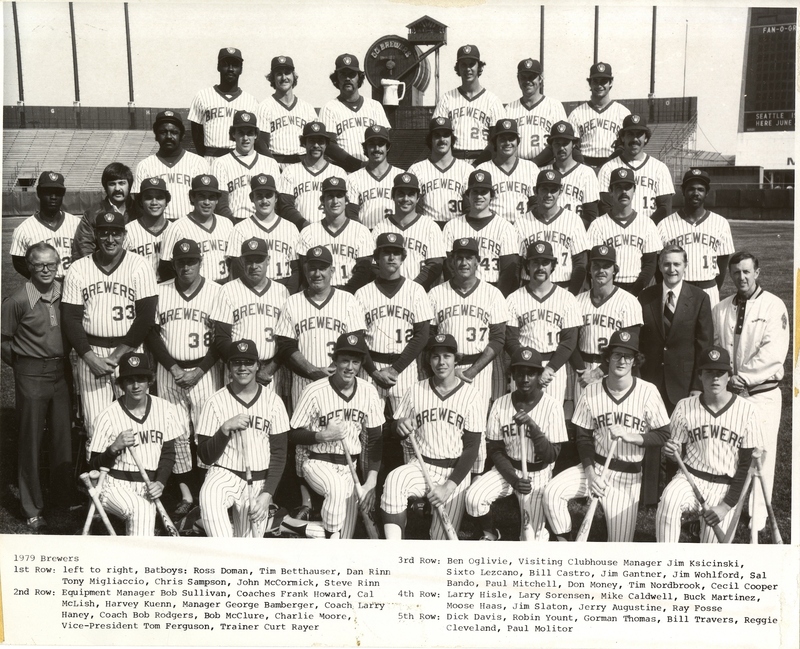 The present-day Milwaukee Brewers joined the American League in 1970, when the Seattle Pilots relocated to Milwaukee, and shifted to the National League in 1998. The Brewers won the 1982 American League championship, a 2008 National League Wild Card berth, and the 2011 National League Central title. Brewers players honored with retired numbers are Henry Aaron, Rollie Fingers, Paul Molitor, and Robin Yount, as well as retired team owner and baseball commissioner Bud Selig. ^ Bill Dwyre, “Seattle Pilots’ Chief Warm to Milwaukee,” Milwaukee Journal, January 23, 1970; Murray Chass, “BASEBALL; Brewers Cleared to Shift to N.L. Central in ’98,” New York Times, Sports, November 6, 1997, last accessed July 11, 2016. ^ “Brewers Retired Numbers.” The Official Site of the Milwaukee Brewers, last accessed July 11, 2016. Haudricort, Tom. Brewers Essential: Everything You Need to Know to Be a Real Fan. Chicago: Triumph Books, 2008. Jenkins, Lee. “Strange Brew (but It’s Working).” Sports Illustrated, August 29, 2011. Kaplan, Jim. “Harvey’s Keen on His Over-the-wall Bangers.” Sports Illustrated, July 12, 1982. Wulf, Steve. “A Hopping Good Series.” Sports Illustrated, October 25, 1982.